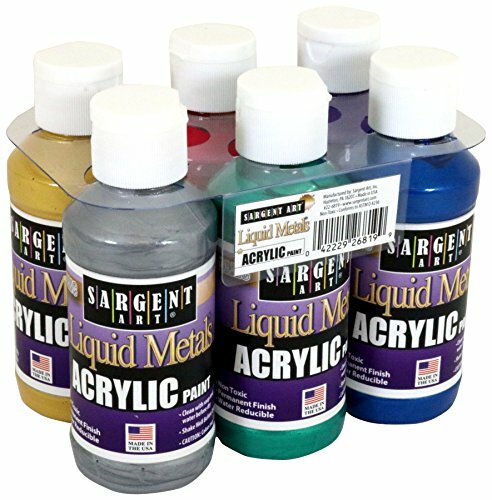 Sargent Art Liquid Metals acrylic paints are a fantastic addition to any paint palette! Add a shimmering quality to your painting and mixed media projects with these dazzling metallics. 6 bottles of 4 oz. metallic acrylic paints. Includes colors Silver, Metallic Green, Metallic Violet, Metallic Blue, Metallic Red, and Gold. Conforms to ASTM D 4236, non-toxic, safe, and made in the USA.